Cholet Basket (Jeep ELITE ProA) inked 31-year old American (has also Dominican passport) guard Anthony Goods (190-91kg-87, college: Stanford, agency: Pensack Sports). It is actually his comeback to Cholet Basket as he has played here before. Goods started the season at Sluc Nancy Basket Pro in the ProB. In 12 games he recorded 12.9ppg, 1.8rpg and 2.4apg this season. Good year as he was selected League Player of the Week. The last season Goods played at Poitiers (also in ProB) where in 34 games he averaged impressive 17.2ppg, 3.1rpg and 2.3apg. A very good season in his career as he was voted to Eurobasket.com All-French ProB Honorable Mention. 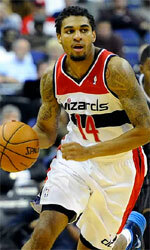 In 2009 Goods was drafted by Bakersfield Jam (D-League) in third round (36th overall). He attended Stanford University and it is his tenth season in pro basketball. 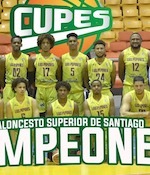 Goods won Liga Americas championship title in 2016. He is a very experienced player. Goods has quite traveled the world as his pro career brought him to ten different countries on three different continents (Europe, Latin America and of course North America). Goods has played previously professionally in Dominican Rep., Germany (EnBW Ludwigsburg), Israel (Galil Gilboa, Hapoel Holon and Ironi Nes Ziona), Italy (BancaTercas), Poland (Czarni), Ukraine, Venezuela (Guaros), Dominican Republic (Soles de Santo Domingo) and NBA G League (Fort Wayne Mad Ants). His game is described as: A versatile guard who can score a lot in few minutes. Plays in the 2 position with energy, can help his team even at the defensive side.